Finished these chaps up, absolute pleasure to paint something with actual sculpted details. There’s so much more personality in these old models than the newer plastics, if any marine kit needs a revamp its the scout box, seriously. kind of reminds me why I got into this in the first place, and makes me very sad for the new trend of plastic blisters for single characters, at this point, I'd almost wish for finecast back. 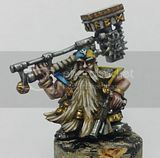 Don't get me wrong, the new character models (BA termie libby and sang priest) are decent, but the crispness just isn't there like it is with pewter or resin. Anyhoo, I’ll leave you with a few shots of the unit now it’s complete. I see what you mean - they look good all together. However, it's easy to imagine that the lantern jowelled plastic scout heads are the result of a degradation in the gene seed. Hah, yes very much so.